Tender on the inside, golden and crispy on the outside! 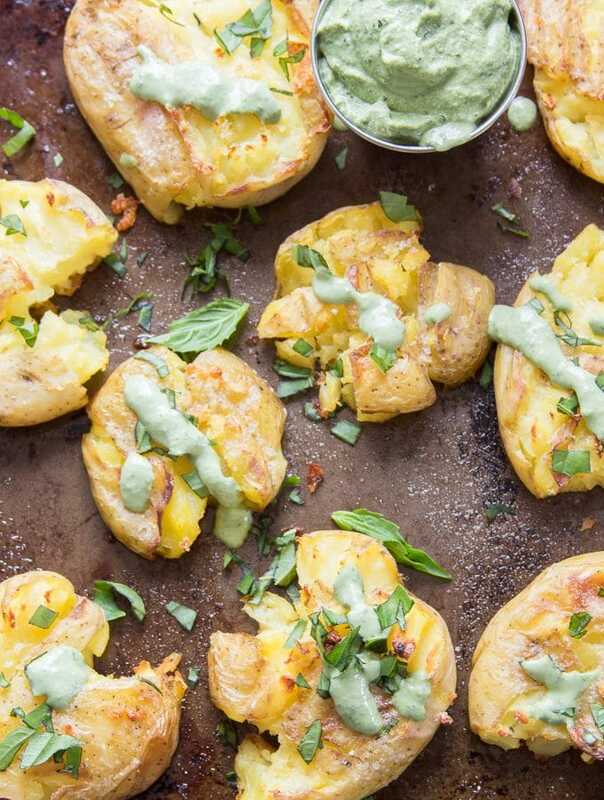 Serve these scrumptious garlic smashed potatoes with creamy dairy-free basil aioli for a show stealing side dish that’s also pretty darn easy to make. 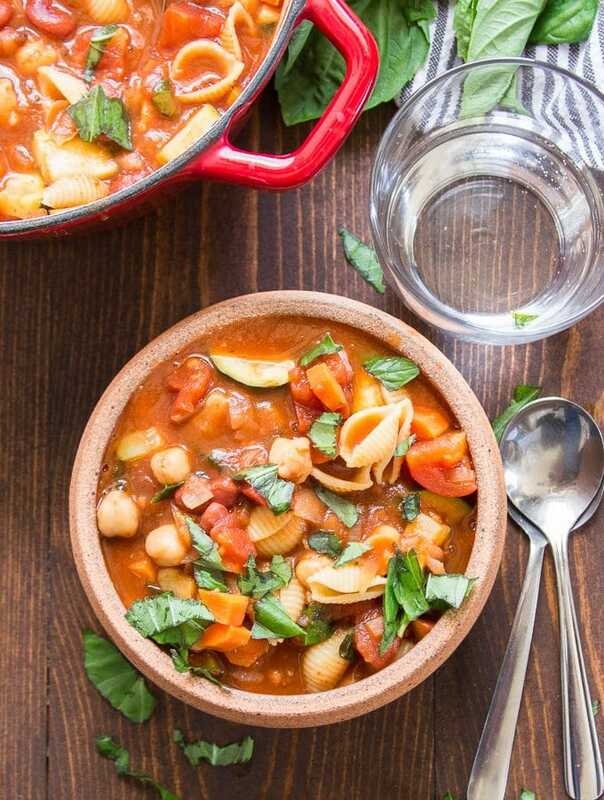 This vegan minestrone soup is made with veggies, red beans and chickpeas, all simmered in a flavorful tomato broth with pasta. Top it off with some fresh basil for a scrumptious soup that’s both meal-worthy and delicious! 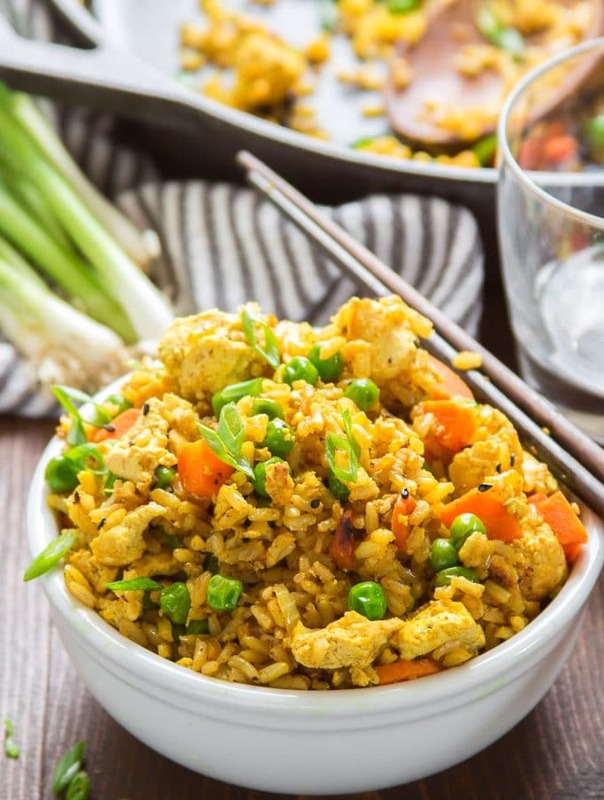 This curry fried rice is packed with flavor and cooks up in minutes. Studded with tender-crisp veggies and scrambled tofu, this easy vegan meal is perfect for weeknight dinners and better than takeout! 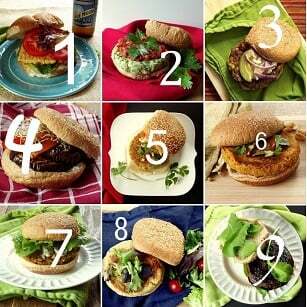 Rich, decadent, and totally egg and dairy-free! 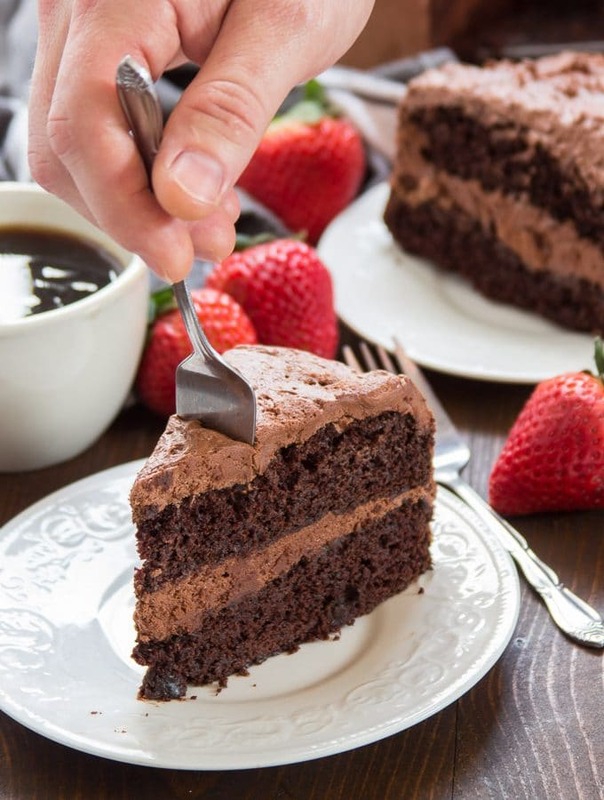 This vegan chocolate cake is made with two layers of deliciousness slathered and stuffed with rich vegan chocolate buttercream frosting. It’ll knock your socks off!